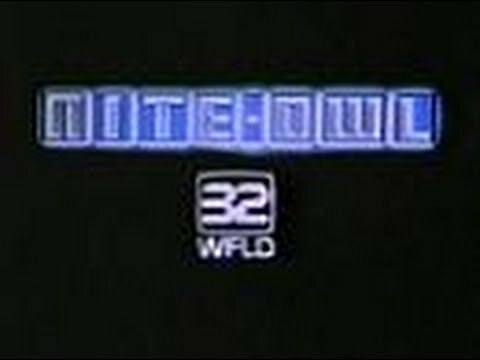 Remember Nite-Owl on WFLD-TV Chicago? Nite-Owl on Channel 32 in Chicago. Does anyone else remember this? 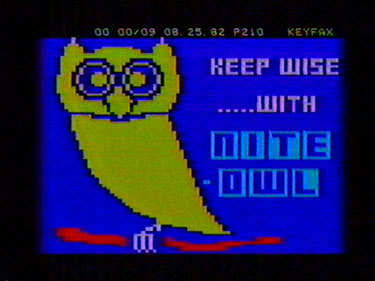 Nite-Owl was a program that dominated the early hours on WFLD-TV in Chicago and consisted of news, weather and sports all provided by funky computerized block graphics played with a soft-rock soundtrack of popular hits and muzak from the time. I was in junior high and found myself staying up late, mesmerized by the high-tech (for the time) computer graphics. One night in 1981, I was at my friend's house across the street and we turned on Nite-Owl after Saturday Night Live and fell asleep to the blue glow and soft music emanating from the tv. I distinctly remember hearing that Little River Band song and thought it would make a good theme to the program. 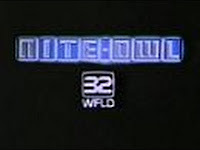 Nite-Owl premiered in September of 1981 and was attracting some 75,000 viewers a night within a year. The company then expanded and started charging a fee, but it soon died out by 1984. And here's a 10 minute segment from August 25, 1982, featuring "Love is in the Air" by John Paul Young, "Who Am I?" by Petula Clark and "Biggest Part of Me" by Ambrosia. The service was provided via teletex, which was hooked up into the computers at the Chicago Sun-Times. The editorial office for Keyfax was located in Elk Grove Village where editors typed up the copy and sent it back to WFLD in Chicago over a telephone line. The service was paid for through advertising placed between the 100 or so pages that scrolled throughout the night. Nite-Owl, although archaic by today's standards, was really ahead of its time. It foreshadowed 24 hour news channels and internet RSS feeds. 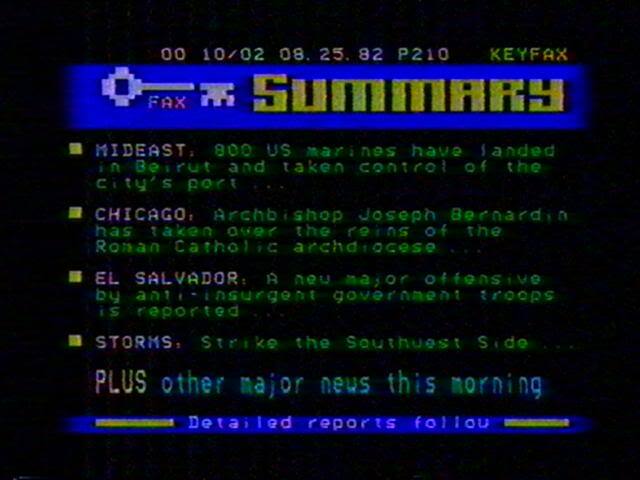 It looked much like the on-line bulletin boards and dial-up services of the early and mid-1990s. Remember Prodigy and Compuserve? 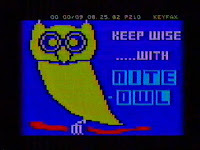 Nite-Owl looked just like those 1990 internet gateways. 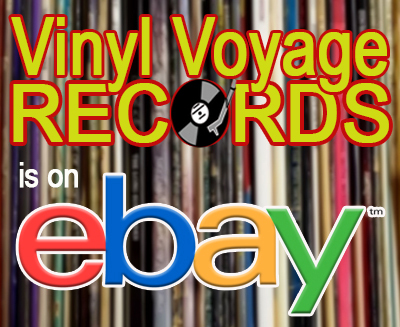 This month we are celebrating the 20th episode of Adventures in Vinyl. That's right, we have highlighted 20 K-Tel compilations over the last 2 years. And we have many more to go. After all, K-Tel produced over 160 compilation albums between 1971 and 1985. 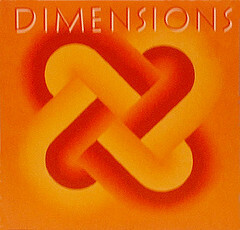 In the month of February, we are featuring a compilation from 1981: Dimensions. This album features Juice Newton, Pat Benatar, Air Supply and one of my personal favorites from 1981: Billy Squier. In 1981, I received Billy Squier's album Don't Say No for Christmas. "The Stroke" was all over the airwaves in 1981. And I played that album until it was worn out. Pat Benatar, too. Big fan. Air Supply, not so much. But then again, that is the magic of K-Tel. Going over these old records I am still amazed at the eclectic nature of the song selections. Dimensions is the featured album this month on Adventures in Vinyl: the only radio show dedicated to the lost art of the K-Tel compilation. 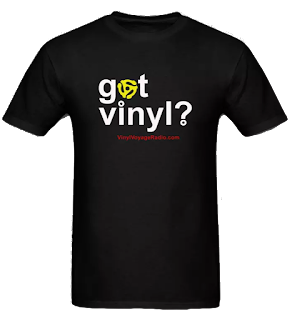 Join us for a musical time trip featuring not just music, but movies and news as well. After the month is over, the episode will be available on a downloadable podcast. If you missed last month's episode featuring Dynamic Sound, it is available here.